Carrie Newcomer’s music has long been a favorite of mine, but her Sunday evening concert at the Ark only deepened my appreciation of her artistry. At times quiet and contemplative, and at other times toe-tapping, the night’s program took the audience on quite a journey. It included several new songs from her upcoming album, as well as old classics for those familiar with Newcomer’s music, a poem from one of her two books of poetry and essays, and more than one occasion in which the audience was invited to join in song. She was joined by pianist Gary Walters. Carrie Newcomer is at once wise, humble, humorous, and down-to-earth, all of which was evident as soon as the concert began. Rather than a far-off stage with the audience below, the atmosphere was one of a room filled with friends. Between each song, Newcomer shared musings and anecdotes, some which left the audience laughing, and others which left the audience silent in thought, but it is her music that I think communicates most deeply. It is clear to me that one woman and her acoustic guitar can communicate truth and wisdom more intensely than most of us could ever imagine. Betty’s Diner, another song that Newcomer performed, celebrates the range of humanity that passes through the restaurant Betty’s Diner (“I’m an artist, so I’ve waitressed,” she remarked, to laughter). On a separate note, if you’ve never been to the Ark, I would highly recommend it! The performance space, or listening room as it is called, is an intimate space that seats 400 people or so. It isn’t every day that one gets to sit in the front row at a concert of one of their favorite artists, but that is what I was lucky enough to experience at Carrie Newcomer’s performance! Most performances are general admission, and there are also tables in front of the stage that audience members can choose to sit at. 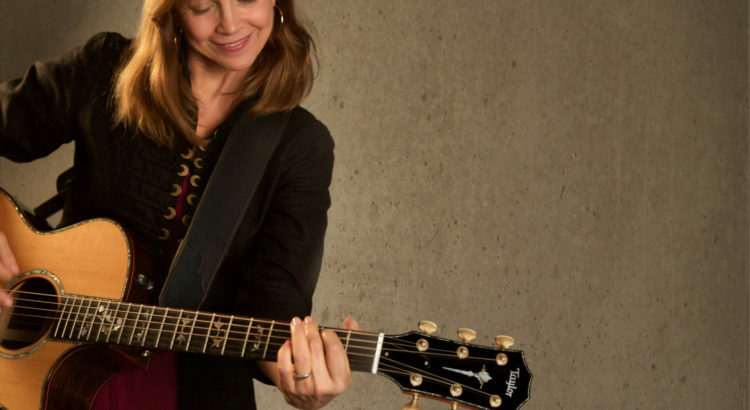 Carrie Newcomer manages to celebrate and affirm life, while challenging the audience to live each moment more intentionally, all within the space of musical notes. I don’t think that I could get tired of listening to her music!